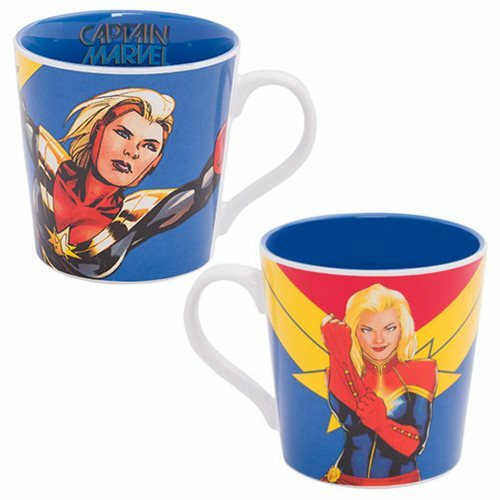 Shopping for Captain Marvel Mugs? Talk about Girl Power! She's got it! Fans of Captain Marvel will love this 3 3/4-inch tall Captain Marvel 12 oz. Ceramic Mug. Made from high-quality stoneware in a unique shape, it features bold, bright images of Captain Marvel on both the front and back, and her name inside! The mug comes in a full-color gift box. Dishwasher and microwave safe.